January 21st is dubbed ‘Blue Monday….apparently the gloomiest, most depressing day of the year! We awoke to try and glimpse the total eclipse of the Super Blood Wolf Moon, followed by the sun rising over the Devon hills, illuminating the grazing sheep and sparkling off the calm seas. We certainly do have blue days in Devon… blue skies, blue sea and wide horizons where the two meet. Living by the coast engages all your senses and we constantly appreciate each daily gift and ever-changing view and are looking forward to sharing it all with our guests in the year ahead. Our special offers are available until the end of March with short breaks from just £210. There is no greater pleasure than running around on the beach – whether you are on 2 legs or 4! Devon is a dog lover’s paradise as dogs are welcome in nearly all shops, pubs and cafes (some even have their own dog menus!) and the beaches are a dog walker’s dream! Here is our guide to the best dog friendly beaches in Devon. Start Point is one of the most exposed peninsulas on the coast and one of the best coastal walks in South Devon. The dramatic cliffs and coastal path form a mile-long headland, running for almost a mile until you reach Start Point Lighthouse. The lighthouse has guided vessels along the channel for over 150 years. To the west of Start Point you will find Mattiscombe Sands and Lannacombe Beach (the latter of which has a small car park with parking for approx. 10 cars). Dogs are welcome on these beaches and you are likely to be rewarded with the sight of seals basking on the rocky outcrops along the coastpath. Slapton Sands is a three mile long stretch of shingle beach which runs from Torcross heading towards Dartmouth. Completely level, with easy parking (or walk from Beesands over the coastpath), dogs are welcome all year round. There are some great eateries where your dog will also be made very welcome. Discover the fascinating WWII history, when the beach was used to practice for D Day, or head into Slapton Ley nature reserve for a stroll in the shade of the woods alongside the Ley, the largest freshwater lake in the Southwest. Slapton Ley is a site of special scientific interest. The nature reserve covers 490 acres of woodland, marsh and reed-bed habitats, making it a wildlife haven for all types of birds and wildlife. Sitting opposite the waterfront town of Salcombe, which lies across the water of the estuary, the beach at East Portlemouth is dog friendly all year round. 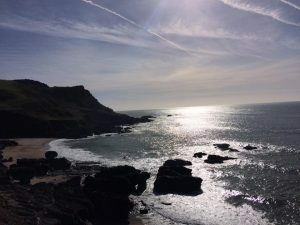 A beautiful stretch of golden sandy beach (with a National Trust car park), it is easy to see why this is a favourite with locals and holiday-makers alike. The shallow and sheltered turquoise waters of the estuary are a great spot for paddling or a swim for you and your pooch. A favourite pastime with all children is to try and dam the stream which runs along the beach and into the Estuary. After a day on the beach, hop on the passenger ferry and head over to Salcombe, one of the prettiest towns in the area and a water sports and sailing hotspot. Park at Gara Rock itself or choose to leave the car at Mill Bay and take the scenic coastal path or the pleasant woodland walk up to the top of Gara, where you will find the fabulous Gara Rock Hotel (open to non residents) with its spectacular panoramic clifftop setting and delicious menu. It’s an ideal spot for a bite to eat. Head down to Rickham Sands, a beautiful, secluded cove and a staggeringly beautiful coastline. Dogs are welcome all year round. Some of the most expansive beaches in our area, both beaches are sandy with shallow waters, but both are renowned surfing spots (they have excellent surf schools, should you wish to learn!). Bigbury (seasonally-dog friendly) is home to the famous Burgh Island, which is accessible on foot at low tide or by the sea tractor when the tide is in. Dogs are not allowed on Bantham beach from May-September, but are allowed on the estuary at the southern end of the beach all year round, which you can get to at low tide. As the tide rolls out at Bantham you will discover plentiful, shallow, rockpools, perfect for adventures with little ones. Don’t forget your bucket and spade! Lifeguards are on duty from May to September. After a day on the beach you can buy refreshments at the Gastrobus or head to one of the local pubs. Bantham has excellent facilities, including a large car park and public toilets. 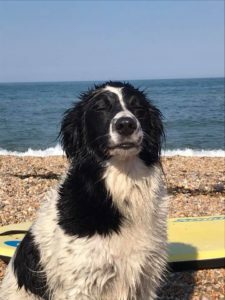 Dogs are allowed on the whole beach from 30th September to 1st May with plenty of facilities on hand. They are allowed on the last stretch of beach at the very end of Queens Drive all year round. All three beaches are stunningly beautiful and and allow dogs off the leash all year round. A real treat for you and your four-legged friend. With over half a million people in the UK eating a plant based diet, veganuary has become a New Year’s resolution for many wanting to try a healthier start to the year. 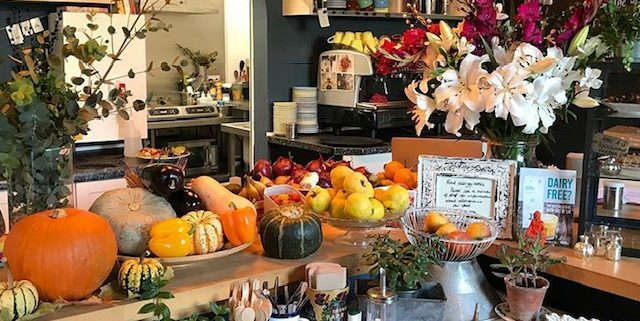 Devon has many brilliant vegetarian and vegan friendly places to visit and many menus in our local restaurants and pubs will cater for vegans. Our favourite eatery in Kingsbridge, this is a hidden gem in the town. Serving the most delicious homemade vegetarian and vegan breakfasts and lunches in a relaxed atmosphere. Both the food and the setting is a feast for the senses! Expect friendly service, indulgent salads and delicious cakes! Possibly Devon’s oldest veggie restaurant, it has been tucked away in Totnes for over 30 years now. Willow serves up delicious and imaginative vegan and vegetarian dishes from locally sourced producers. Famous for its huge selection of organic veg – the star of every plate (and the desserts are delicious too!!) Experience flavours whilst feasting on fresh seasonal produce from the Riverford Farm. Homemade quiches, pies and savouries such as mushroom and walnut pie, sweet potato and feta frittata, butternut squash and leek wellington or quiche verde always available. Gluten and vegan options. All cooked on site. Freshly prepared vegetarian and vegan food. using their own freshly picked produce whenever in season. It doesn’t get more locally sourced than this! Endurance Life Coastal Trail Series (2nd February) https://www.endurancelife.com/southdevon The original coastal trail series race, you can choose a 10K, half, full or ultra marathon along the the coastpath and countryside of our local AONB (area of outstanding natural beauty). 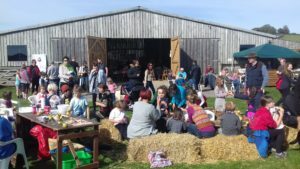 Big Day out on the Farm (28th April) Head over to East Soar Outdoor Experience with the National Trust and meet the animals, explore the farm trail and join in with the family-friendly activities on offer. Blackawton Worm-charming Festival (5th May) http://www.wormcharming.co.uk/ The quirkiest of all our local festivals! Use any tactics you can to charm as many worms from your designated plot of earth as you can! Register at the event. Also includes dog show, music and beer festival and events for all the family. Dart Music Festival (10th – 12th May) https://www.dartmusicfestival.co.uk/ This family-friendly event is free to attend, with over 100 live acts performing at various venues around the town. Prawle Village Fete (26th May) https://www.prawlefair.co.uk/ Devon’s most southerly village is full of quirky charm. The fete on the village green is one of the highlights of our year. 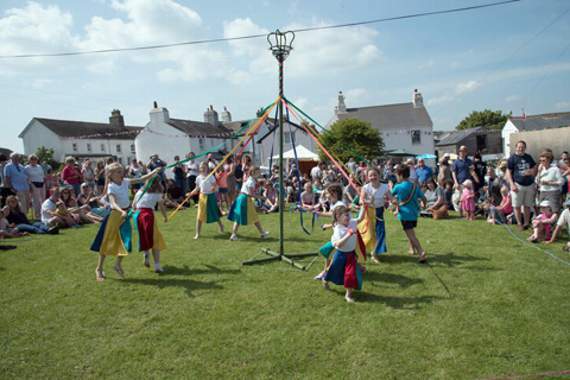 Traditional family fun with everything from Maypole dancing to knobbly knees contests, skittles, swingboats and our favourite – the slippery pole! Refreshments available from the Pig’s Nose Inn, a wonderfully unique village pub. Kingsbridge Food and Music Festival (31st May – 2nd June) http://www.kingsbridgefoodandmusic.org/ The best of local food and drink combined with live music on the Quayisde. Free to attend. Kingsbridge Fair Week (20th – 27th July) https://www.kingsbridgefairweek.co.uk/ Kingsbridge Fair gets the holidays off to a great start! Events including the hilarious raft race, carnival procession and lantern parade, teddy bears picnic and 10K run there is something for everyone during the week. Dartmouth Shakespeare Week (23rd – 27th July) The Inn Theatre Company bring Shakesepare to the open air in the stunning surroundings of Dartmouth Castle. 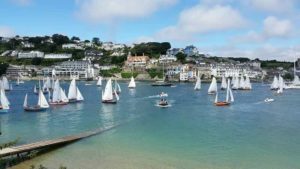 Salcombe Town Regatta (3rd – 10th August) https://www.salcombe-regatta.co.uk/ Salcombe Town Regatta is the biggest event in the town, with lots to do for all ages on an off the water, finishing off with a spectacular fireworks display. Dartmouth Royal Regatta (29th August – 31st August) https://www.dartmouthregatta.co.uk/ A popular and busy Regatta with rowing races, street food, children’s activities, fireworks and more. Kingsbridge Show (7th September) http://www.kingsbridgeshow.co.uk/ A wonderful event in our calendar, celebrating all that is great about South Devon life! 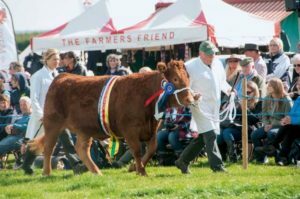 A great for a day out for all the family with a full programme of activities, attractions, local crafts, agricultural equipment and animals on show. Our children absolutely love a day out at the show! Dartmouth Food Festival (18th – 20th October) https://www.dartmouthfoodfestival.com/ The best of the South West is on offer during this weekend in the heart of the town. One of the UK’s top food festivals where you can attend cookery workshops, demonstrations and talks or just wander the town and sample the food and drink that is on offer. Candlelit Dartmouth (29th November – 30th November) http://www.candlelitdartmouth.co.uk/ Father Christmas arrives in South Devon (by boat of course!). Start your Christmas shopping in the market and watch the atmospheric lantern parade. Kingsbridge Celebrates Christmas (7th December) https://www.kingsbridgecelebrateschristmas.com/ A one day Christmas celebration with shopping, craft market, street food and farmer’s market, rounding up with the lantern parade down the high street. 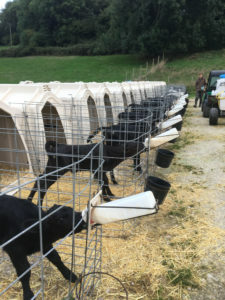 Festive Fun on the Farm (15th December) https://www.nationaltrust.org.uk/events/dfea7d96-55c1-46ba-882e-b11e93640e78/pages/details Join in the festive fun at East Soar Outdoor experience (National Trust), make your own natural decorations and help the wildlife through the winter by making simple feeders. 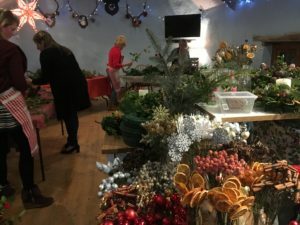 There’s no getting away from it, Christmas is coming and the whole county is busy working on its mission to get everyone into the Christmas spirit. Devon has a wonderful selection of festive offerings and ‘meet Santa’ experiences, full of magical wonder and excitement that are sure to add to the anticipation and build up to the big day. Finding Santa across Devon will be easy; he’ll be busy visiting the top attractions, meeting the children and helping to put an extra sparkle into that pre-Christmas obligatory Father Christmas visit. Enjoy an unforgettable ‘meet Santa’ experience and find many other top festive days out and ideas for all the family to enjoy before the big day! Santa Sunday is returning to Dartington Crystal on 9th December 2018, Santa will be there from 11am – 3pm! Take your little ones along to meet Santa in his Mary Poppins themed grotto and enjoy a day of festive fun for the whole family. There will be grotto gifts, free face painting, themed glass painting, live music, a free prize draw, festive food and mulled cider for the adults. There will also be an extra 10% off everything in store when you spend £35 or more, great for stocking up on Christmas gifts. Please note that the Factory Tour is available Mon – Fri and the Visitor Centre, Factory Shop and Pavilion Café are open 7 days a week. Dreaming of a blue Christmas? Fortunately the National Marine Aquarium has got you covered! You and your family will be able to enjoy special Christmas crafts and events during the day at the NMA, with this year’s Christmas at the Aquarium focusing on ‘Magical Migrations’ – The incredible journeys undertaken by marine animals, just like how Father Christmas covers the globe in one night! The Aquarium will be decorated to create that festive feeling. There will be a festive winter trail around the Aquarium for families to work together and find clues. 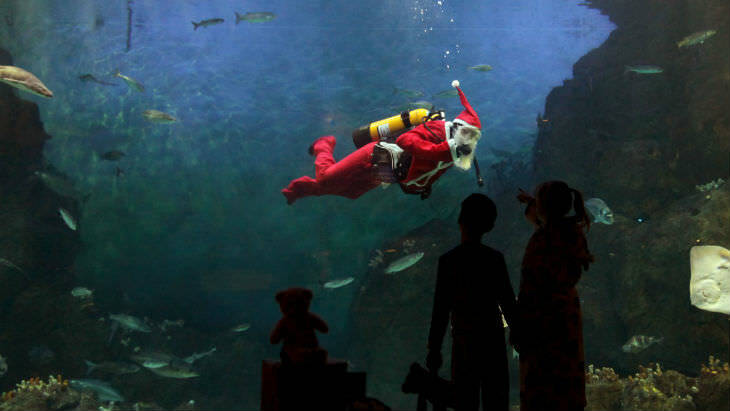 Not only that, but visitors attending the 2pm dive show will be visited by a very special VIP – Santa himself! See him diving with the sharks and rays, feeding the fish, and more! Relive your favourite Christmas film! The Polar Express is coming to Seaton Tramway on selected dates throughout December! Families will enjoy the magical tram ride to Santa’s home at the North Pole in one of the specially decorated single deck tramcars. Enjoy a cup of hot chocolate, a delicious treat, speak to Santa and admire the awesome lights whilst you walk around the North Pole. Children will also receive the first gift of Christmas from Santa himself. On the return journey you will be able to enjoy singing along to Christmas carols. For the grown-up kids too, this is a trip down memory lane to a traditional Christmas of old. A round trip lasts approximately 2 – 2½ hours. There are only a limited number of seats on our snug single deck tramcars for The Polar Express Tram Ride. Learn the skill of rag rug making to create a unique and colourful decoration, from Deborah Hastings. You’ll take home a completed wreath ready to hang. Booking essential. £20. Admission included. Try a traditional Christmas wreath-making workshop using natural materials from the garden. Learn the basics of how to construct wreaths and natural decorations using materials from the garden, and create a beautiful wreath to take home. All materials provided. Please take gardening gloves and secateurs if you have them. Booking essential. £25. Admission included. Come to our festive grotto in the stables at the Carriage Museum and meet the traditional green Father Christmas. All good girls and boys will receive a present. Booking essential. £5. Admission applies. Travel back in time to 1897 with special lighting, decorations, a 12-foot tree and a special festive hunt. Normal entry applies. Members go free! From 13th-24th there will be something on every day at Bygones! 15th& 16th Santa will be there from 11-2pm handing out early presents! (extra £3 per child) and Gingerbread decorating at no extra cost. This includes entry to Bygones, your breakfast, brunch or lunch! (Continental breakfast and a selection of light bites sweet and savoury for lunch). And a present from Santa himself (worth approx £6+). A Christmas character hunt – find all the hidden mini Santa figures & other Christmas characters! Magical Christmas Lights from 3.30pm to close. Nativity Plays and Visits to Father Christmas on the magically decorated farm. The whole family is caught up in the Christmas magic at Pennywell. Adults are welcome to take part in the Nativity or simply watch the delight and wonder on the children’s faces from the cosy straw bale seating, as the greatest story ever told comes to life. Picture the scene… a magical manger setting with all the Pennywell animals, the barn twinkling with hundreds of tiny lights in the many Christmas trees and carols ringing out across the farm. Every child can become a star performer of they would like to. Christmas Farmers & Craft Market undercover – every Saturday throughout December from 9 – 4pm. Drink and be merry in Devon this winter! If you’re coming to Devon, why not use it as an opportunity to sample some of the locally brewed drinks? In a completely responsible and safe way of course! Devon has a whole host of vineyards, breweries and distilleries that are great for a day out, whether you’re on the hunt for some exciting new flavours, want to learn a few tips to try out at home or just love having a few drinks with your friends, it is a great idea for anyone looking for a more unusual activity. 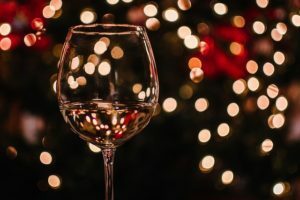 You can even combine your trip with a chance to try out some local wines and spirits to grace the dinner table this Christmas and New Year! The South West of England is known for its cider production and Devon is no different, but at this time of year when apples are scarce, you might want to look for something else to get the party started and for that, there are artisan vineyards and breweries all over the county for you to visit. Many of the vineyards and wineries offer tours, some self-guided and some with an expert, plus you get to taste everything and there are often snacks on offer too, so you can easily make a day (or night) of it. Devon is also famous for its gin, and as gin has been growing in popularity recently, so have visits to the distilleries around the county. One of Devon’s most famous distilleries is Plymouth Gin, which is open all year round. Plymouth Gin is the oldest working distillery in England and has been making gin to their own recipe since 1793, so if you want to learn more about how your favourite drink is made, it is a pretty good place to go! You’ll also be able to finish off your Christmas shopping in the many stores, both independent and high street that can be found in Plymouth. Plus you can walk all the gin off the following morning at the Gardens at Pentillie Castle, which is nearby. They stretch over 55 acres and are a great spot for watching the changing of the seasons. If you fancy dining out, the impressive Bistrot Pierre can be found in Plymouth’s Royal William Yard and offers food in a traditional French style. The Salcombe Distilling Company is another brilliant choice for anyone looking to tour a distillery as a unique winter activity. This distillery and bar overlooks the estuary in Salcombe and if you book to go on a Wednesday, Friday or Saturday, you’ll even get to take part in Gin School, where you can create your own gin recipe – so that would be your last minute Christmas gifts sorted! Salcombe is also a beautiful area of south Devon. You can join the annual underground concert and feel free to sing along. This is a two hour carolling concert where you begin seated and then journey around the caves by candlelight. Killerton is transformed into the icy world of the Snow Queen. Follow Gerda’s journey to rescue her best friend Kay from the Snow Queen’s ice castle where he has been imprisoned. Outside continue the story following the twinkling trail through the garden and parkland. Don’t miss out, book your timed tickets to see the house. 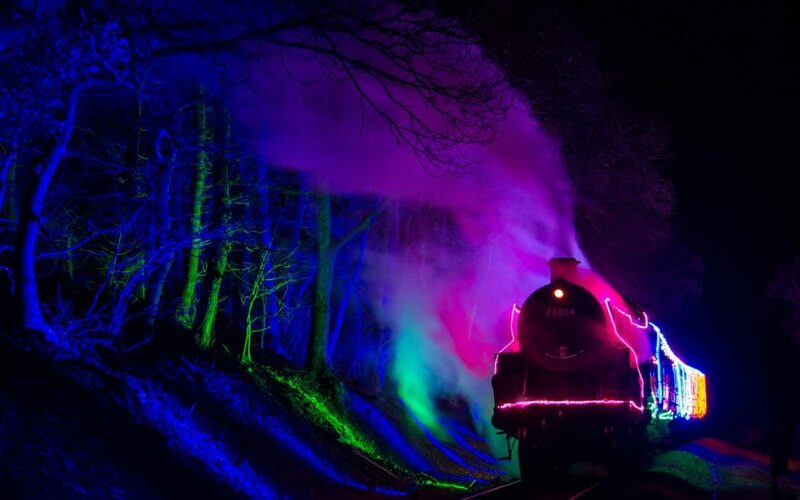 This truly spectacular illuminated journey starts at Queen’s Park Station, Paignton, where the vintage carriages await you, decorated with thousands of lights. Once you’re settled in the your seat you will arrive at Churston Station, where the dazzling show begins. You will be propelled through the 450m Greenway tunnel leading you to the enchanted forest, featuring displays and a multitude of lights creating a nocturnal extravaganza. The breathtaking show ends as you leave the forest and the twinkling lights of Dartmouth are reflected in the Dart river. After a quick turnaround at Kingswear you will be experience the whole spectacle from the other direction. For the deluxe version why not upgrade to the Devon Belle observation carriage? Get the best view of the Exmouth Christmas Day Swim! Join all the Stuart Line family to watch from the warmth and comfort of the boat, Exmouth’s greatest Christmas Day tradition, the Christmas Day Swim! Setting sail at 10.45am, it will cruise down to the seafront for the best view of all the crazy revellers as they charge down the beach and dive into the water – brrrr! It will then turn to take a leisurely cruise up the glorious River Exe to while you can enjoy a hot glass of mulled wine and tasty mince pie, relax and soak up the views. This cruise lasts one and a half hours and will return you to Exmouth Marina for 12.15pm! The cost includes all materials and festive refreshments. Enjoy a special evening of carol singing by candlelight alongside the resident donkeys and Santa. Setting the scene and adding a touch of magic to the evening’s proceedings, the sanctuary will be spectacularly illuminated by thousands of candles from 3pm onwards. The festive celebrations will then begin with a host of merry tunes on Main Yard, before the 45 minute Christmas carol service commences at 5pm in New Barn surrounded by lots of friendly donkeys – who may even join in! For those who are unable to attend, the webcam sound in New Barn will be turned on from 3pm onwards, allowing you to enjoy the service from the comfort of your own home. The Kitchen restaurant will be open for festive refreshments until the end of the event, as will the Gift Shop for all those Christmas gift needs. This event is free to attend with free parking. Dogs on leads welcome. A Boxing Day Barbecue should make the perfect follow-up to Christmas day for all your family and friends. Enjoy a lunch barbecue with live music on the quay with FREE entrance into the village of Clovelly all day. Park at the Visitor Centre and take a walk along the estate and/or explore the village in the morning. Then get on down to the Red lion on the quay. Cooking starts at midday and the live music runs from 1pm to 3pm. The Red Lion serves some great mulled cider. If you are more of a chocolate person, then try one of the delicious, hot chocolate drinks. Anyone wanting to beat being stuck indoors on the sofa watching television after maybe eating too much food on Christmas Day can still make merry by jumping on to a steam train to enjoy some stunning Devon scenery, plus a seasonal mince pie or two, at the South Devon Railway. We are running our Mince Pie special steam trains over seven days from Thursday 27th December to Bank Holiday Tuesday, 1st January 2019 inclusive to welcome the New Year in style. We’ll also be running on Boxing Day. There will be three trains every day and plenty of seats will be available so you don’t have to book. Stunning sunsets to inspire the workers! It’s been a very busy time at Gatcombe Farm, preparing the fields ready for drilling the seeds for next year’s harvest. 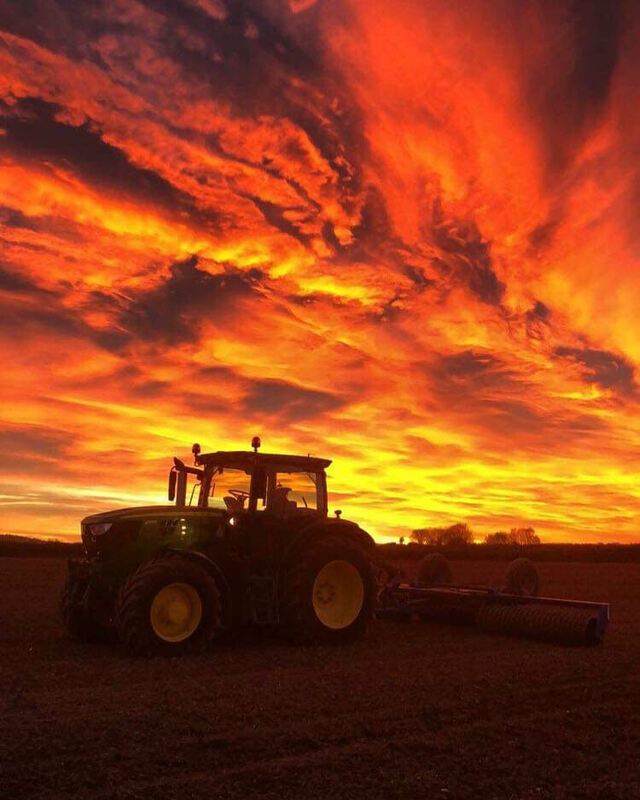 However, even the most tired farmer can’t help but be uplifted by the stunning sunsets we’ve enjoyed over the last week! Apple Day – celebrating the English apple! Perched on the eastern side of Dartmoor you will find the small village of Hennock (meaning Oak Hill). Every year the village, which consists of approximately 300 homes, a primary school, church, village hall and pub, comes together to celebrate the humble English apple. 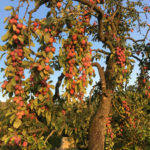 In late September the villagers, both young and old, meet at local farms (including Stickwick) to pick apples from ancient cider orchards, a tradition going back through the generations. Farms always made their own cider in the past and it was often used as a form of currency to pay the farm workers. It was also often safer to drink than the water! 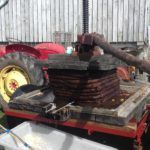 The following week local farmer, Roger, brings his vintage apple press to a large field on the edge of the village which has far reaching views across to the tors of Dartmoor. 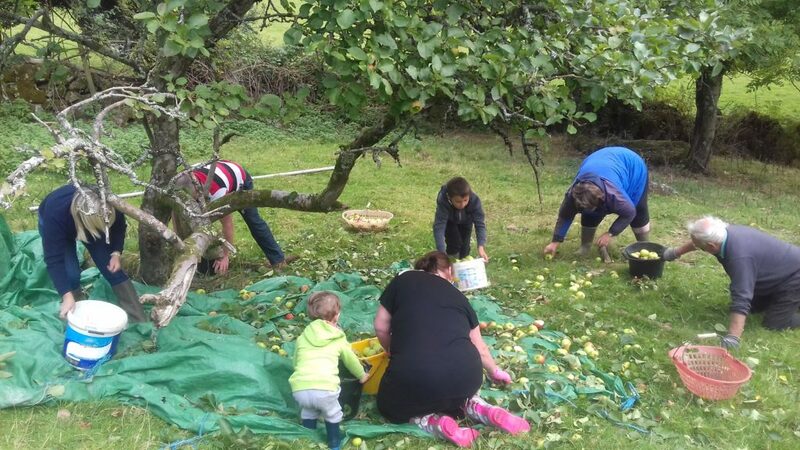 Apple Pressing Day was started nearly 20 years ago and locals join in with the tradition. 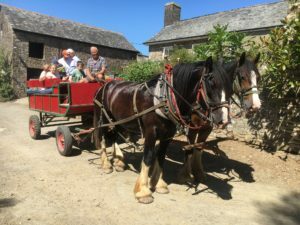 Alongside the pressing of the picked apples, visitors can see and try crafts and artisan trades from days gone by such as charcoal making (https://www.dartmoorwoodcraft.co.uk/), wood turning and shave horse work (http://devonwoodworks.com/) or the delicate craft of willow weaving. Simple play for children using apples and natural resources creates some wonderful apple pigs and apple monsters! Live music, local food stalls and delicious homemade apple cakes adorn the pop up tea barn. You can enjoy apple juice tasting straight off the press or take home a bottle of last year’s press (not for the faint hearted!). There’s a wonderful atmosphere for young and old to enjoy so long may it continue! 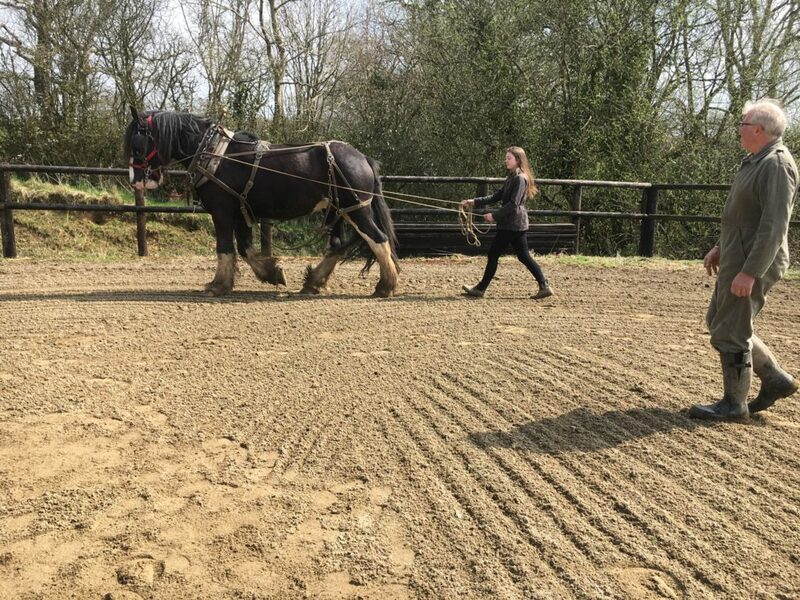 At Higher Biddacott Farm you can book in and enjoy a truly unique experience….trying your hand at driving one of our handsome Shires! We can give you a enjoyable taster of what it’s like to work with one of these gentle giants. During your stay you will experience a rural escape on an organic Devon farm, worked by beautiful Shire horses. Arrive to a warm welcome with home-made cakes or a cream tea. Take a walk around our farm trail, sleep in crisp white linen in our 12th century farmhouse. You can start the day with a delicious breakfast – perhaps home-produced sausages and bacon, or fruit compotes with local honey and later go for a family wagon ride around the lanes. Finally, snuggle up in front of a log fire after a delicious, locally-sourced dinner or enjoy a walk to the local pub. We also run Christmas wreath-making courses at this time of year! Look on our Facebook page for details! Gatcombe Farm have had a very busy time over the last couple of months calving some magnificent new Angus youngsters. They all enjoy their daily milk delivery! The blackbirds have had the last of the plums off the trees now, but it was certainly a bumper crop this year! To make our guests’ stay as relaxing as possible I often cook for them, spending many happy hours in the kitchen concocting all manner of delicious things. 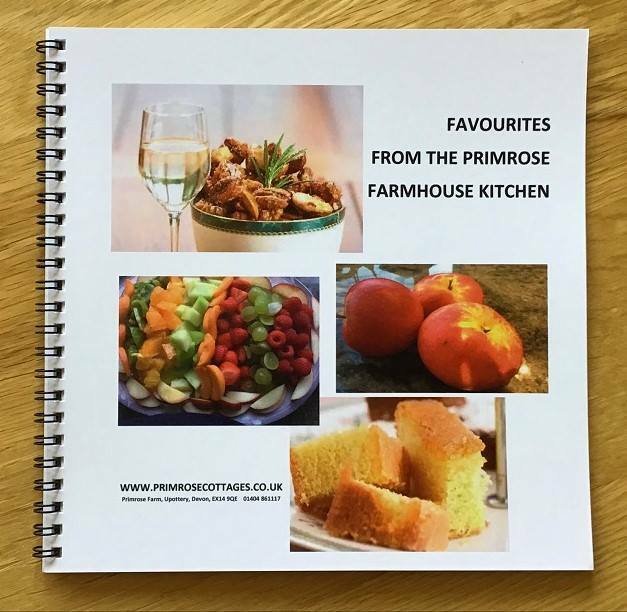 The frequency of requests, not only for repeats, but also for my recipes, have resulted in our very own cookery book, ‘Favourites from the Primrose Farmhouse Kitchen’. From tasty starters and salads, through delicious main courses, to desserts and baking, including our hugely popular lemon drizzle cake, you are sure to find a tasty meal to enjoy. Guests booking in for a holiday with us via the Devon Farms website will get a free copy! What are you waiting for? !